PF Venue takes its cues from several sans serif type styles of the twentieth century particularly the more subdued and sleek geometric styles of the Art Deco movement, characterised by the low and high-waisted monostroke designs. Venue is a quite large x-height set of 2 families with alternate letterforms, which manifest a unique texture when set in uppercase. The daring combination of non-uniform structures such as the normal narrow forms with the alternate wide forms exudes a striking eye-catching personality. Consider using these for posters, ads, book covers and imaginative fashion editorials. PF Venue draws inspiration from numerous condensed grotesques used by music album covers since the fifties. Underlined by the avid necessity of the underground music scene for non conformity, expression, freedom of spirit, rule breaking and challenging preconceptions, this collection pays tribute to a rocker at heart! The full collection includes 2 separate families Venue and Venue Condensed which support Latin, Greek and Cyrillic. 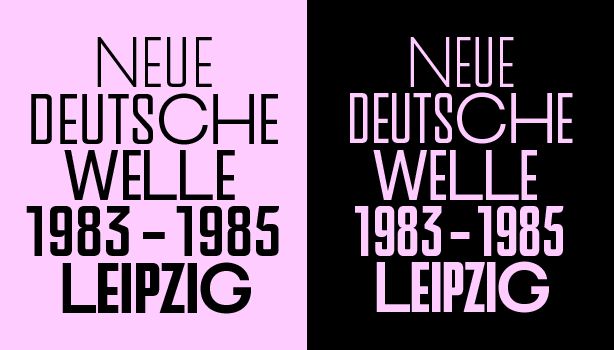 Each family includes 5 weights with 5 sets of alternate letterforms. The first 100 customers to purchase the full family of PF Venue or PF Venue Condensed will receive a complimentary copy of PF Venue Stencil... and yes that is not all... you will also receive an original handprinted silkscreen poster from our “Rocker at Heart” limited edition series. The posters are individually numbered, signed and printed on 350mm x 500mm 240g paper from responsible sources. Parachute® is an acclaimed European type foundry which -apart from its commercial line of typefaces- offers bespoke type branding services and lettering. Parachute has designed custom corporate typefaces for international clients such as Bank of America, European Commission, UEFA, Ikea, Interbrand, National Geographic, Financial Times, Eurobank, Alpha Bank and many others. The list includes award-winning typefaces such as Centro, Regal and Bague. Copyright © 2017 Parachute® Worldwide, 24 Acharnon Str, Kifissia 14561 GR. All rights reserved. Parachute, please click here. In case you want to change your email address click here. If you are unable to view the graphics properly, try the web browser version. Send this email to your friends and colleagues. Feedback? Tell us what you think.